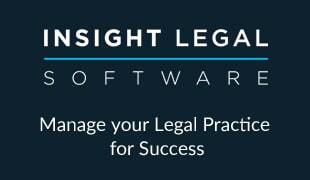 Following the sell-out success of their seminar series in 2013, Redbrick Solutions and Legal Eye are delighted to announce dates for new COLP and COFA seminars in spring 2014. Compliance Update – what you really need to know. Ensuring outward facing publicity/documents are compliant. Risk Management procedures including: preparing a Risk Management Policy e.g. how to manage risk, risks by work type, categorisation and types of risk such as conflicts. Risk assessment of files, talking about some of the methods for determining the level of risk, file reviews and the use of risk registers. Hallmarks of a conscientious COFA. The SRA Client Account rules: common compliance issues. The SRA’s approach to breaches. Your approach to record keeping. What information should go in your annual information report? Birmingham – LAST FEW PLACES LEFT! London LAST FEW PLACES LEFT! At a cost of just £49 + VAT, the seminars represent excellent value for money. All delegates will receive 3 hours CPD, full course notes, access for expert speakers and refreshments throughout the morning. Jo Hodges, Head of Sales & Marketing at Redbrick Solutions said “We have continued to receive enquires from people interested in attending our workshops. We are therefore delighted to, once again, join forces with Legal Eye and offer COLPs and COFAs the opportunity to attend one of our practical and informative seminars. Places are limited and we are expecting demand to be high. Both of the March events are now very nearly sold out. I would therefore advise delegates to book as soon as possible in order to secure a place”. For further information or to secure a place visit the website www.redbricksolutions.co.uk/events, email jhodges@redbricksolutions.co.uk or call 0845 166 2629.